Are you using Goodreads ? I will admit that I wasn’t until recently. It was one of those websites that I signed up for years ago and then almost as soon as I had, I forgot about it. Recently my nephew helped me to see the importance of Goodreads and how it can be helpful to family historians. To be honest, even though I LOVE books, these website descriptions weren’t enough to interest me. What did finally interest me was the ability to create virtual “bookshelves” of books I want to read or have read. Goodreads does more than this but I want to focus on this aspect of the app and how it can help family historians. So after talking to friends and family it became obvious to me that Goodreads would enhance my reading life by tracking genealogy books I read and finding new books to read to learn about my ancestors' life. How do you get started with Goodreads? You can sign up for a free account on the Goodreads website or through the mobile app. I suggest that you use the app since that will give you the tools you need away from home at libraries and bookstores. To use the app you will need to first download the free Goodreads app from your mobile device’s app store. Although you could just use the desktop version of the service, the Scan feature is only available using a mobile device with a camera (more on this later). The Goodreads app is fairly simple to use. Why I fell in love with it is its ability to add books to virtual bookshelves labeled, Want to Read, Currently Reading, and Read. Goodreads allows you to create additional bookshelves. 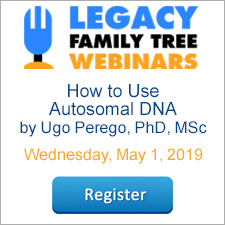 I, of course, created a “genealogy” shelf but I could see this being useful for more specific genealogical topics (think DNA or Eastern European Genealogy). You can view your shelves and the books on them by clicking on My Books at the bottom toolbar of the app. Two ways to add books to your bookshelves are by searching for a book (click Search at the bottom of the app and then enter a title or author) or click on the books featured on the Goodreads home page in categories like Trending and Popular or based on what you have read or what your “friends” have read/reading/ or want to read. Yes, Goodreads allows you to “friend” others (family, real life friends, those with similar reading interests) just as you do on other social media websites. Another way to add books is actually my favorite part of the mobile app, the Scan feature. I don’t know about you but when I’m at a bookstore, the books I’m interested in far outweigh the amount of money I have to spend. So when that happens, you can scan the book’s barcode (look at the back cover) and Goodreads will identify that book and allow you to place it on a bookshelf. Easy! Now when I’m at a library,conference, a bookstore, or even a friend’s house, I can easily upload the books I want to read. And, I can even upload books in my own collection. What a great idea since I’ve bought the same book more than once on several occasions! Use Goodreads for your genealogy? Yes! Keep track of your 2019 genealogy reading goals by using Goodreads to track what you have read and what you want to read. Gena Philibert-Ortega is an author, instructor, and researcher. She blogs at Gena's Genealogy and Food.Family.Ephemera. 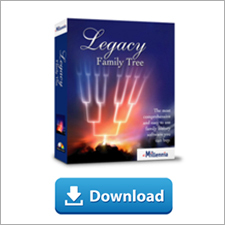 You can find her presentations on the Legacy Family Tree Webinars website. You also might want to check out LibraryThing.com. It too has a desktop version and mobile app. You can keep track of books you own, have read or want to read, and post reviews or recommendations. There is also a social aspect with the numerous groups including a genealogy group. I joined eleven years ago and it has saved me more than once from buying a duplicate book. Link to Goodreads at top of article doesn't work. Can a book entry in GoodReads include a link to an online copy of the book, so it could readily be accessed for reference purposes?